Native to Southeast Asia, the Asian tiger mosquito (Aedes albopicus) has spread to many countries through the transport of goods and international travel. 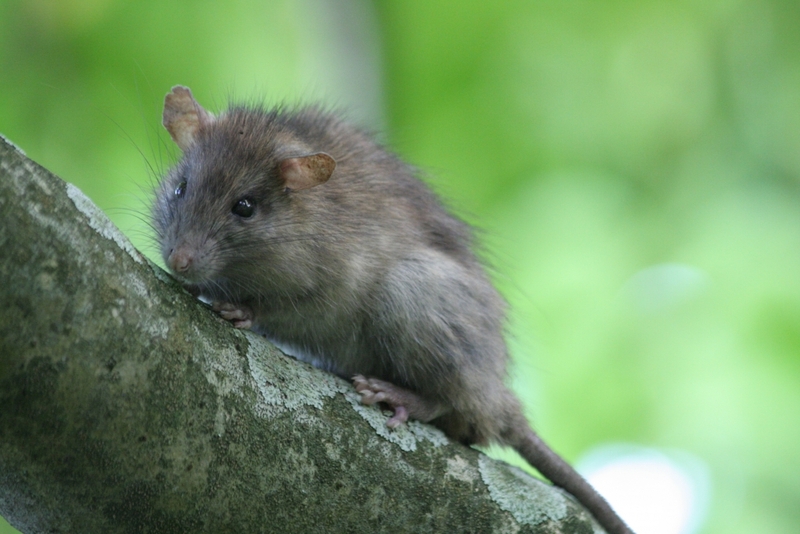 The common black rat (Rattus rattus) is a large tree-dwelling rodent whose blood fed many Asian tiger mosquitoes on Palmyra Atoll. The Asian tiger mosquito — carrier of such diseases as dengue, yellow fever, Rift Valley fever, Chikungunya and Zika — appears to have vanished from Palmyra. Not native to the small atoll 1,000 miles south of Hawaii, Aedes albopict likely came to Palmyra during World War II, when the United States took it over as a base of operations. The military imported many other species as well, including the common black rat, Rattus rattus, a large tree-dwelling rodent whose blood fed many of the mosquitoes. The rats also ate juvenile coconuts, leaving the shells as potential habitat for mosquito larvae. In 2011, to help Palmyra recover from the ecological damage wreaked by the non-native rats, land managers implemented an aerial drop of rodenticide that quickly eradicated them. Without rats to feed on, the mosquitoes were left with only humans to bite. But rather than being bitten more, people eventually were not bitten at all. 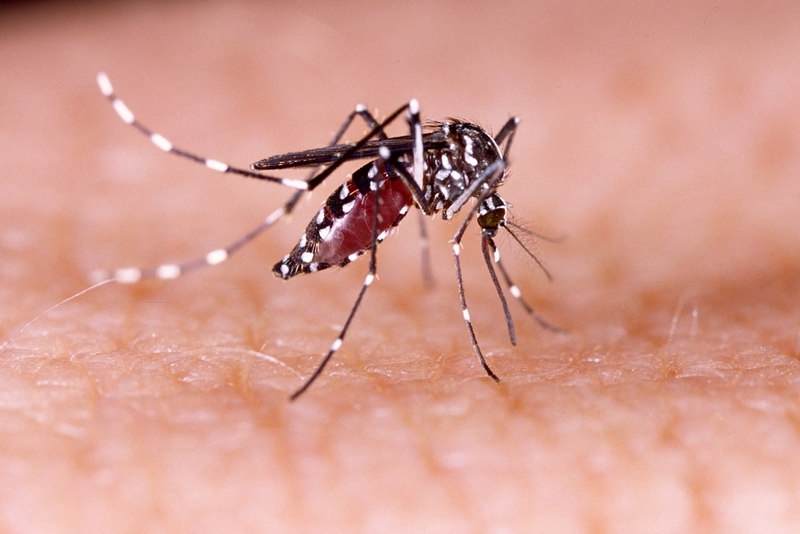 Researchers began to wonder if the Asian tiger mosquito had disappeared along with the rats. Now, in the journal Biology Letters, a team of UC Santa Barbara scientists and colleagues at the United States Geological Survey (USGS) chronicles this unique example of co-extinction. Young’s earlier research on Palmyra’s terrestrial systems produced a large data set that predated the rat eradication. Evidence for the presence of the Asian tiger mosquito prior to eradication efforts included surveys of insects with black-light traps and anecdotal observations from bitten researchers. After the rats were gone, Young and a team of UCSB researchers intensified their mosquito survey efforts to include highly effective scent traps but were unable to locate even a single mosquito. They also surveyed visitors to Palmyra to see if they were still reporting being bitten by this aggressive and conspicuous day-biting mosquito. They were not. Two years of mosquito surveillance without success met the World Health Organization’s standards for their eradication. “Normally we mourn species losses, but without introduced rats and mosquitoes, Palmyra Atoll is as close to paradise as you could imagine,” explained lead author Kevin Lafferty, an USGS ecologist and an adjunct EEMB faculty member at UCSB. While certainly not a panacea for mosquito-borne disease, this research does suggest new directions for controlling these important disease vectors, especially in places where introduced species are utilized heavily.